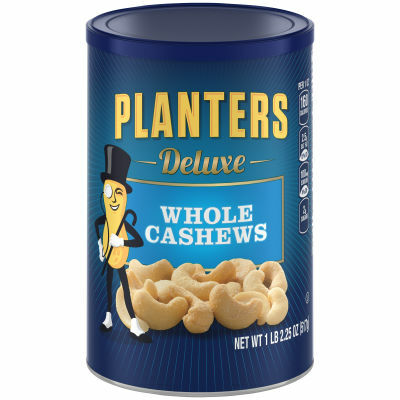 Planters Deluxe Whole Cashews delivers that quality nut flavor you've grown to trust. Each cashew is carefully picked and then seasoned with sea salt to enhance the natural goodness of each nut. Available in a large 18.25 oz. canister, this cashew mixture is perfect for entertaining. Stock up on your favorite healthy treat with this resealable canister that will guarantee freshness between snacking.